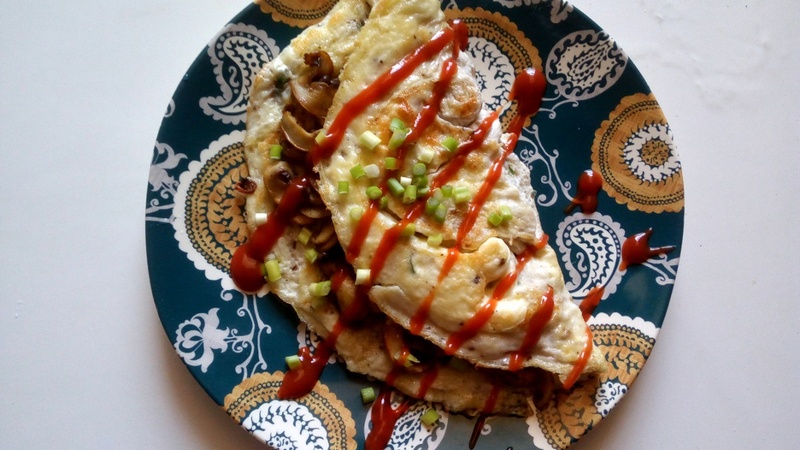 Mushroom Omelette - Leo Tunapika? 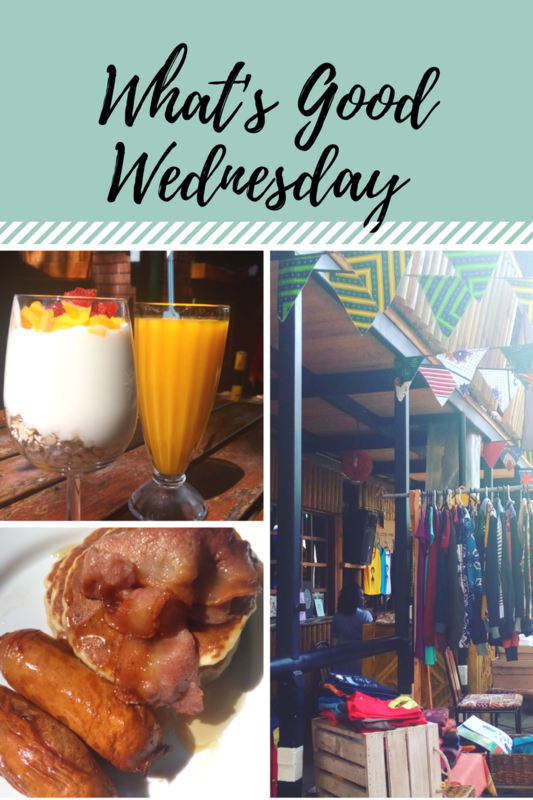 Breakfast has to be one of my favourite meals of the day, actually every meal is my favourite, breakfast just tops the list 🙂 . 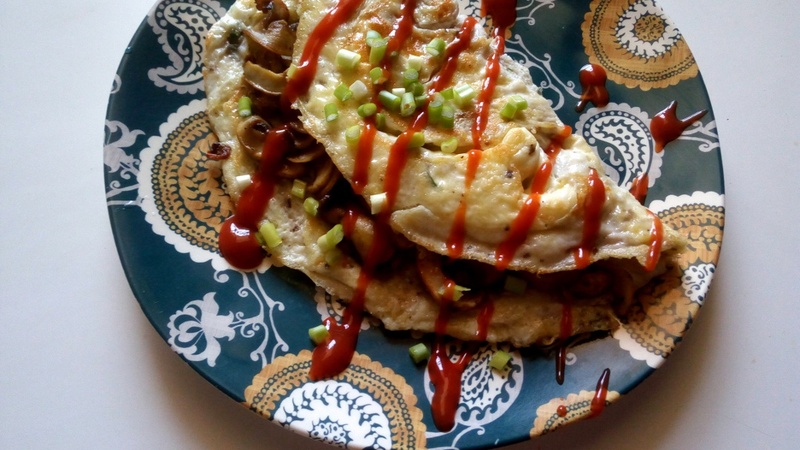 When it comes to breakfast meals I mostly gravitate towards pancakes or omelettes. 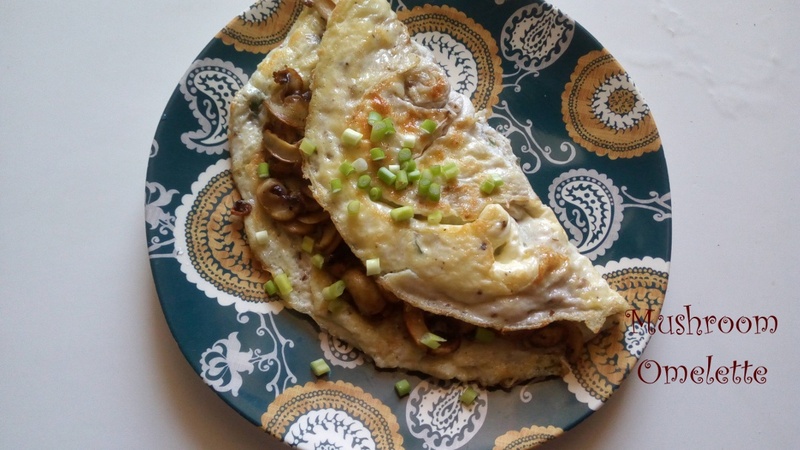 Today’s recipe is a simple mushroom omelette. I love mushrooms and great thing is my daughter loves them too thus the motivation to make them is strong. When I’m buying mushrooms, I try to look for the pack that has the cleanest of ‘shrooms. This is because I try my best to avoid the mushrooms from coming into contact with water. Mushrooms have a way of soaking up water and you might think you want to saute them till browned and they end up being steamed. Sadly the pack I had wasn’t the cleanest. For these mushrooms, I indivually ran the mushrooms under the tap then using my fingers I gently rubbed off the dirt and placed them on paper towels to absorb any residual water. 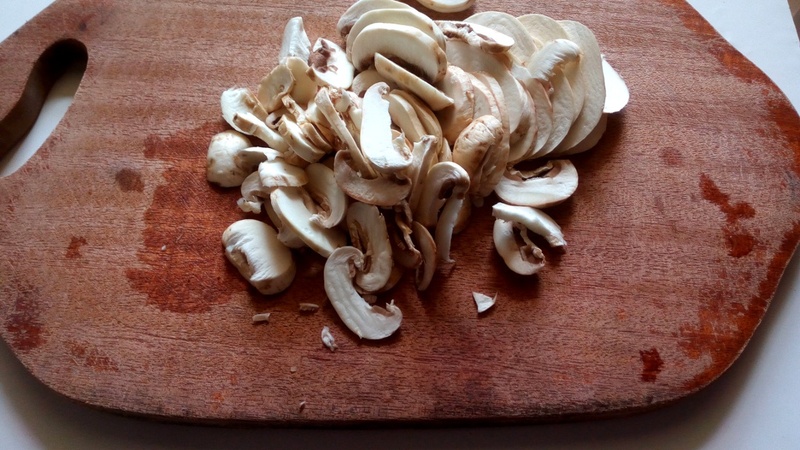 In the event your mushrooms are fairly clean, you can use a dry paper towel and wipe them individually or use a gentle dry brush to clean off any dusty parts. 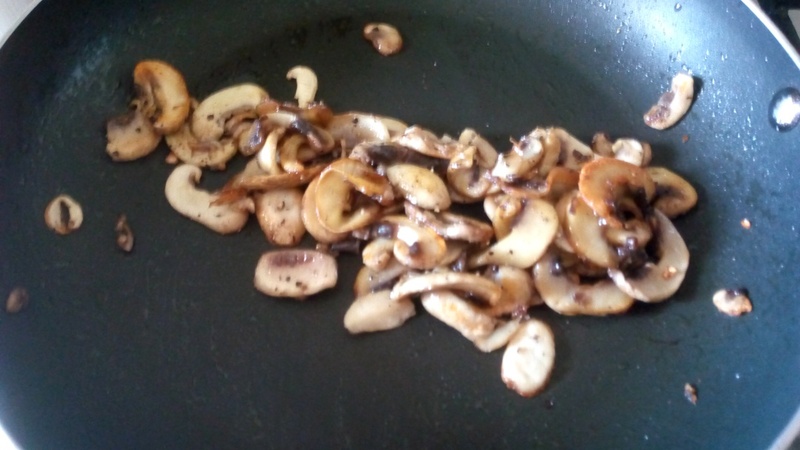 Now to saute the mushrooms, the secret again is to not overcrowd the pan lest you end up with steamed mushrooms. Sauteing in batches helps. Plus when the pan isn’t crowded it takes about 3 to 5 minutes to saute. 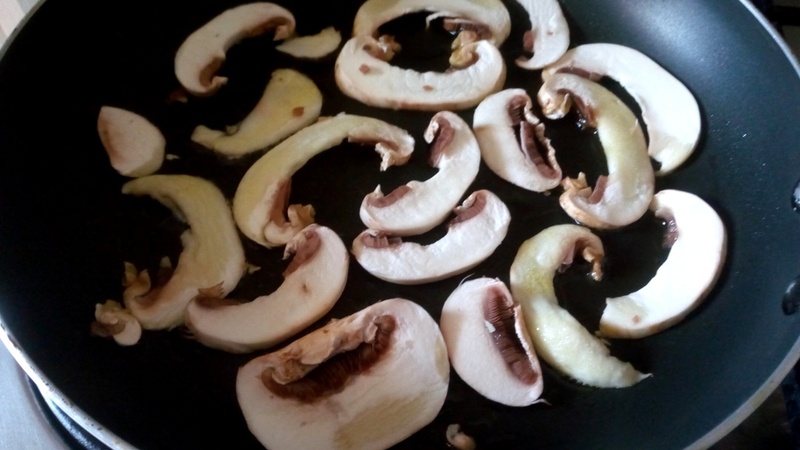 In a pan, over medium heat add some olive oil and then the first batch of mushrooms. Now to work on the eggs, I worked with very few ingredients just the eggs, salt, black pepper and some sliced basil leaves. In the same pan, heat it up then some oil then add the lightly beaten eggs. 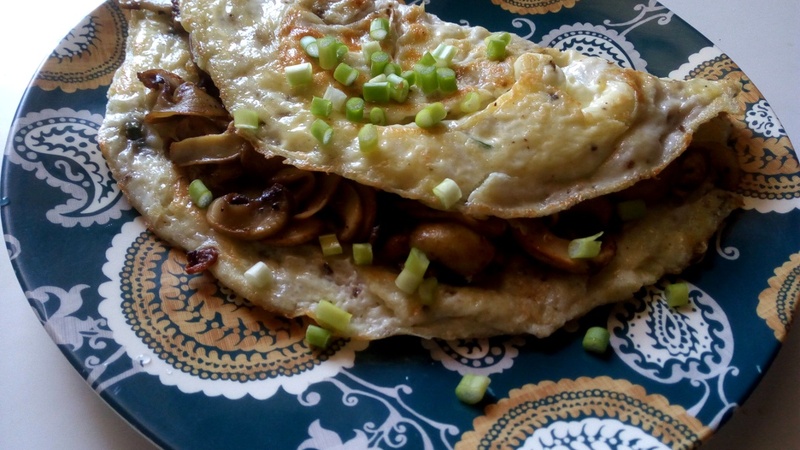 Once the eggs start to firm up sprinkle over the sauteed mushrooms on half of the omelette. I cheated and flipped the omelette to let the top cook. Then flipped it back to add the mushrooms. You can also sprinkle some shredded cheddar cheese at this point. I didn’t have any on hand. 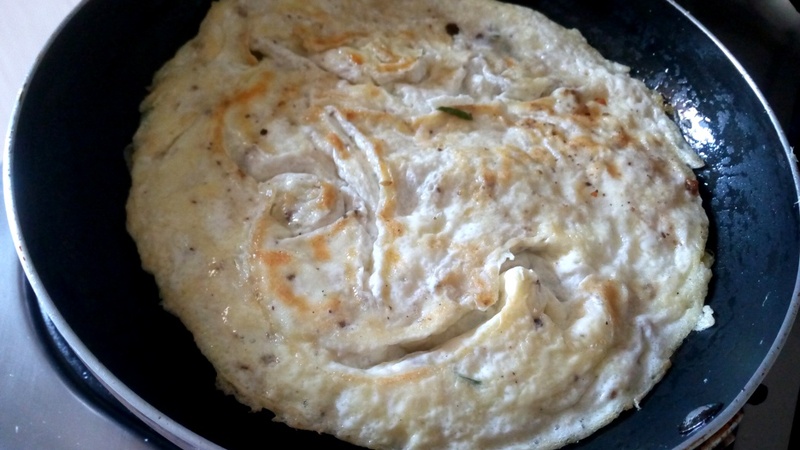 Fold the omelette in half then plate. Add some sliced green onions. 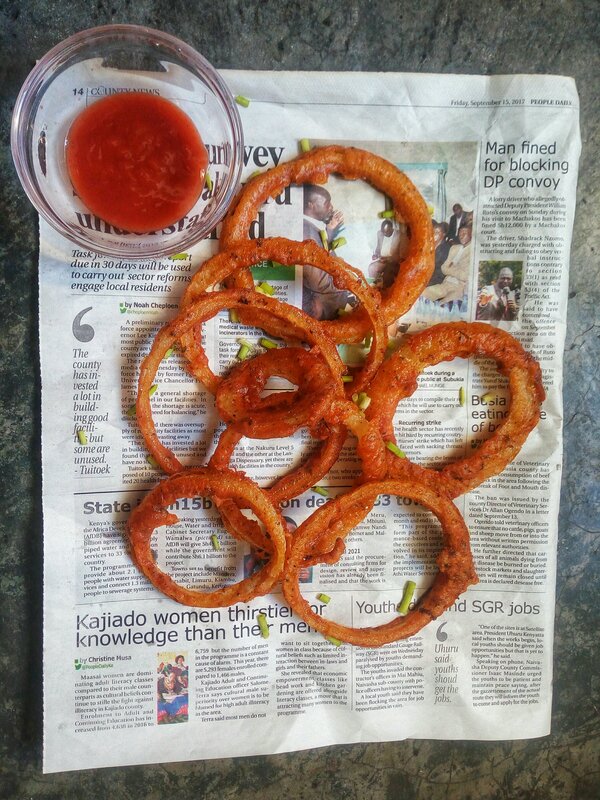 I also added some ketchup, could I be the only one who loves ketchup on fried eggs? 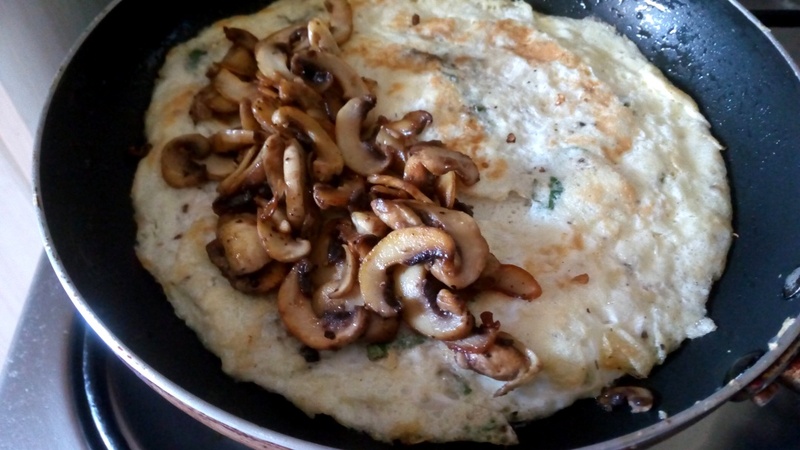 There you have it a simple mushroom omelette. Don’t forget the green onions,they add a beautiful crunch and taste to the whole meal. Perfect side to your favourite morning beverage, mine is milk. 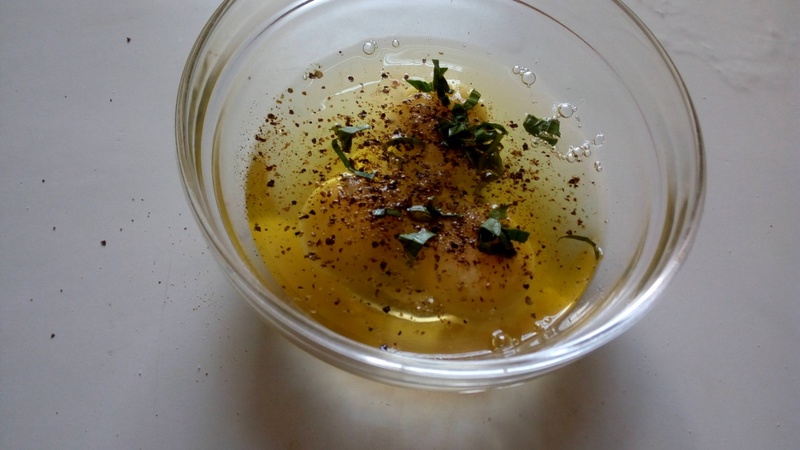 In a bowl, combine eggs, basil, salt and black pepper. Over medium heat, heat about a tablespoon of olive oil. Saute the mushrooms in batches for about 3-5 minutes per batch or until browned then set aside. 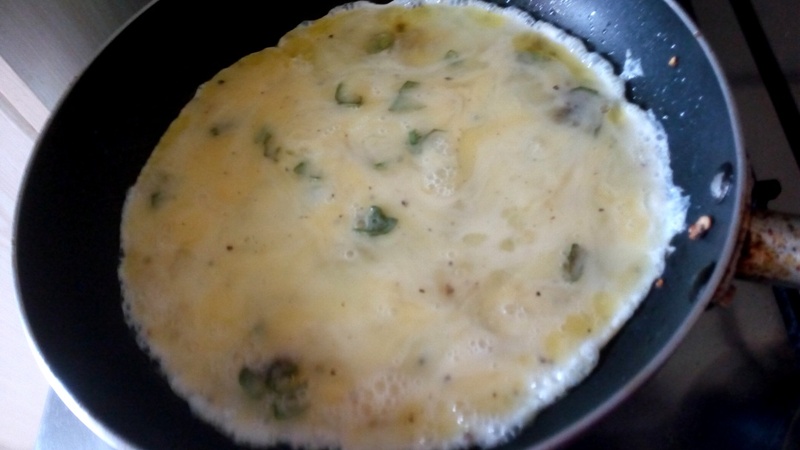 In the same pan, add some more oil if needed, then fry up the omelette. 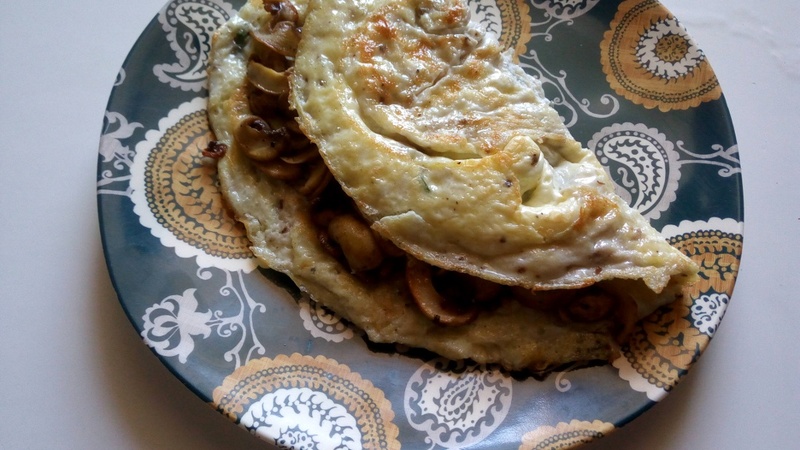 Once the top side is almost set, add the mushroom on half of the omelette, sprinkle some cheese if using then fold. Serve garnished with some sliced green onions. 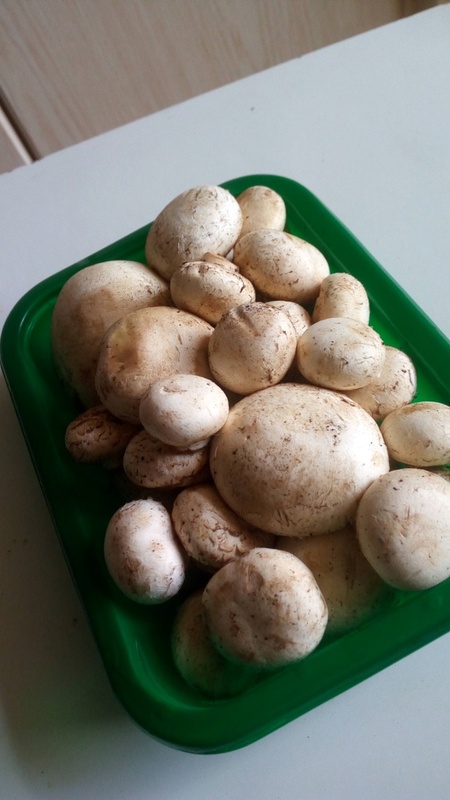 Pingback: Creamy Garlic and Mushroom Spaghetti - Leo Tunapika?